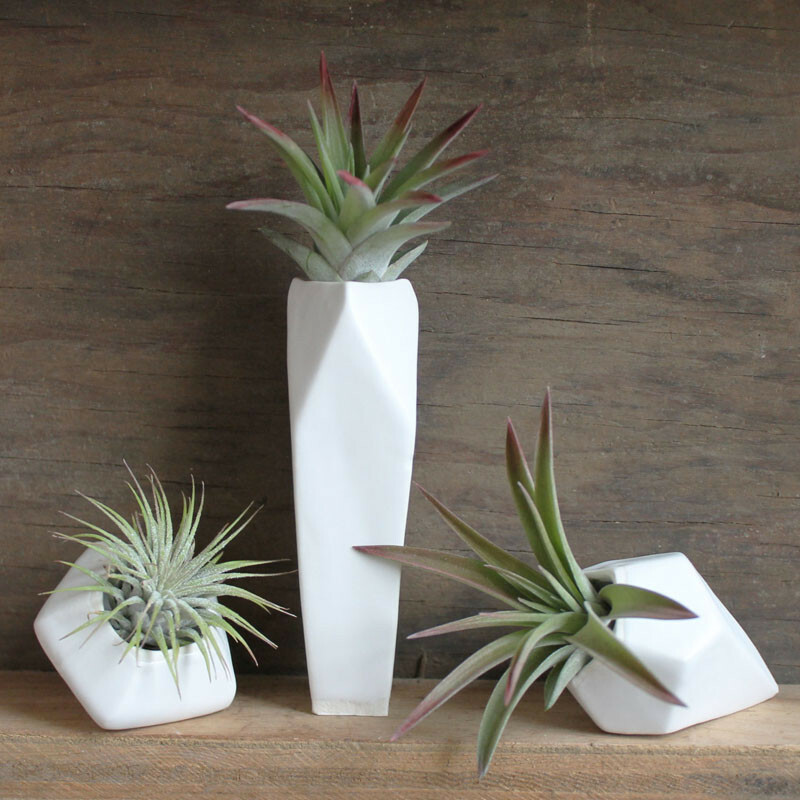 Just when you thought there couldn’t be plants easier to take care of than succulents, along came the air plant (also known as Tillandsia). These small plants get their water and nutrients from the air by absorbing it through their leaves, eliminating the need for soil or frequent watering. 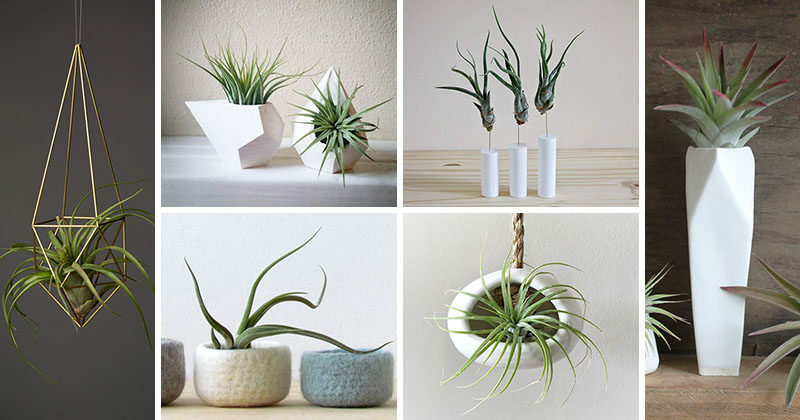 While they do need to be spritzed on occasion, air plants require virtually no care. 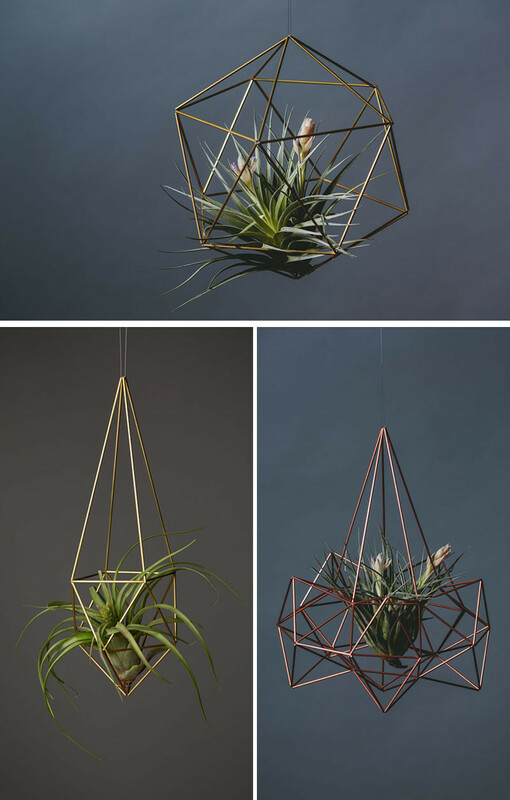 Here are 12 elegant ways to bring air plants into your home. 1. 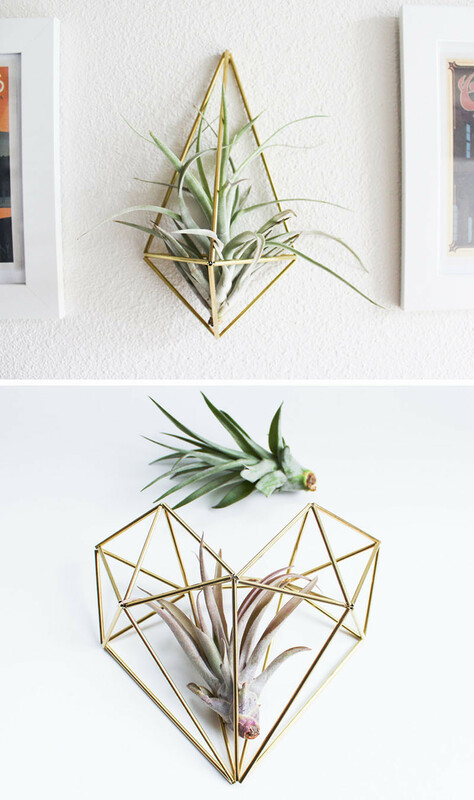 These brass air plant holders, also known as a “himmeli”, are a great way to add some art to your wall, while housing your air plant as well. Himmeli fig. 3 Wall Sconce and The Heart by Handmade Sam Made. 2. 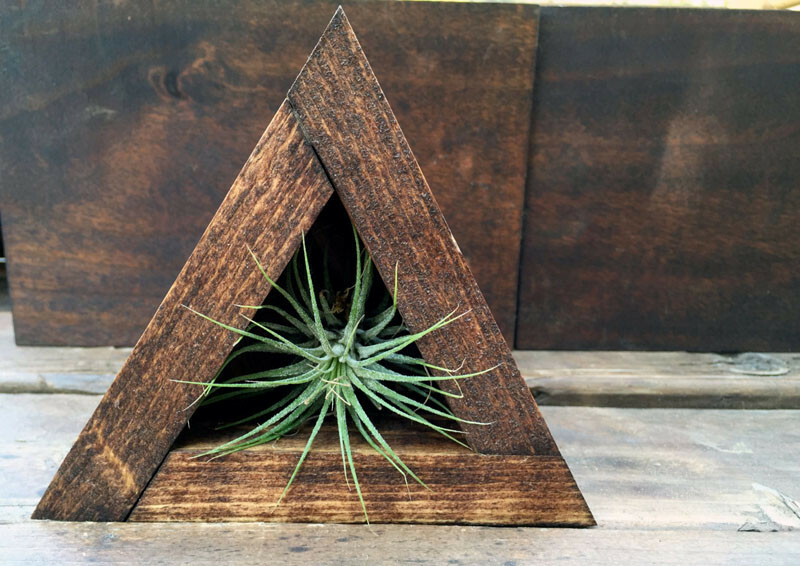 This wooden air plant holder is a unique way to display air plants while adding a touch of wood to your decor. 3. 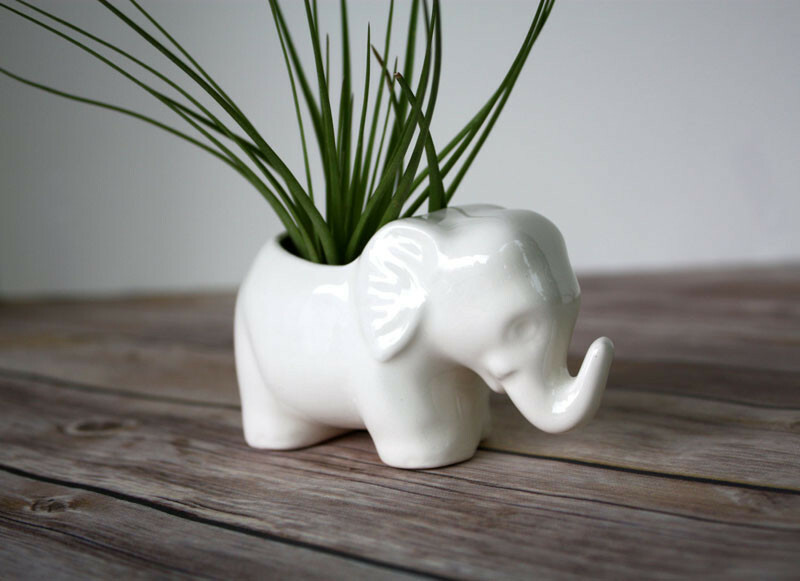 Add a touch of whimsy to your decor when displaying your air plants, with this tiny ceramic elephant. 4. Planters grouped together always look good. 5. 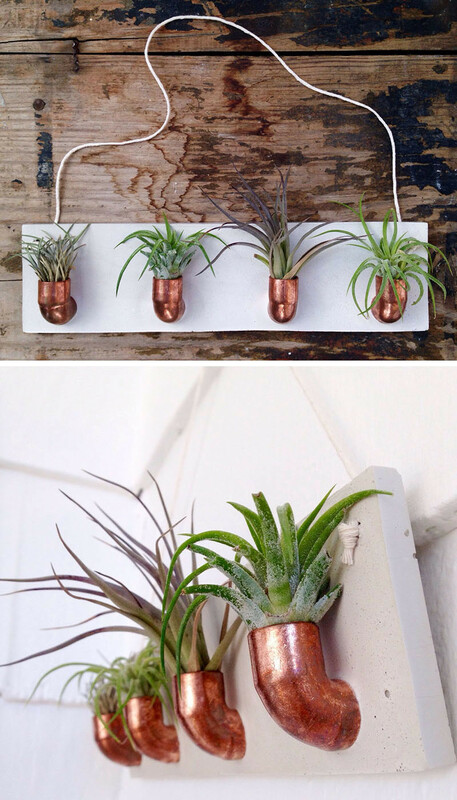 This copper and concrete air plant holder gives your plants a home on the wall. 6. 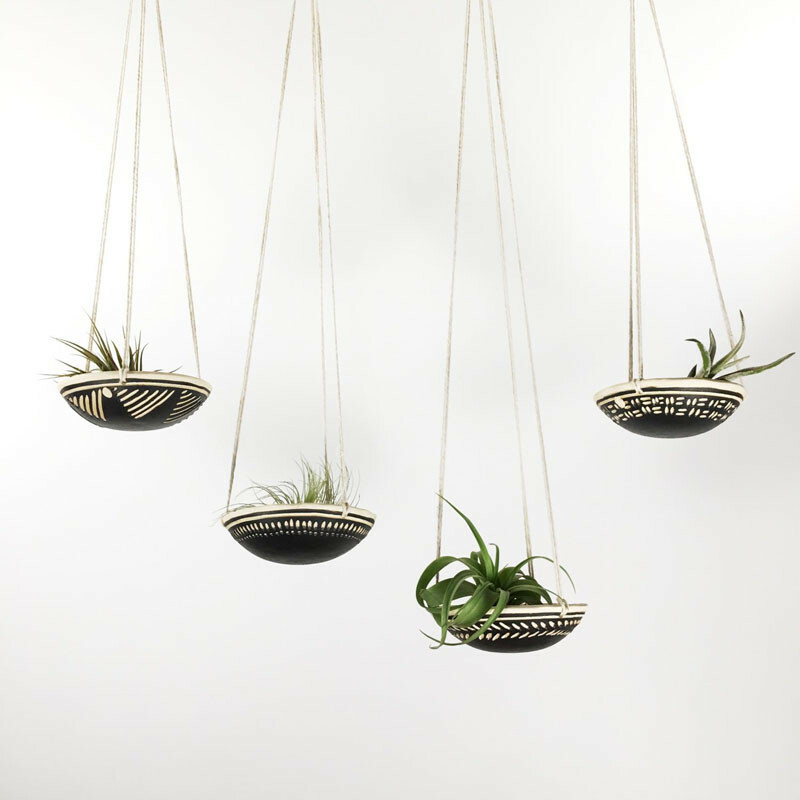 These monochromatic hangers display your air plants from the ceiling. 7. 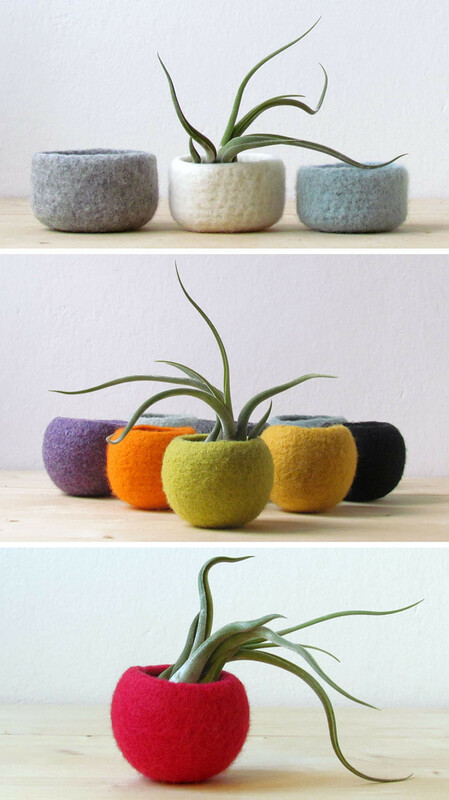 These felted bowls make great holders for air plants, and because they come in a wide selection of colors, they can match any color scheme. 8. 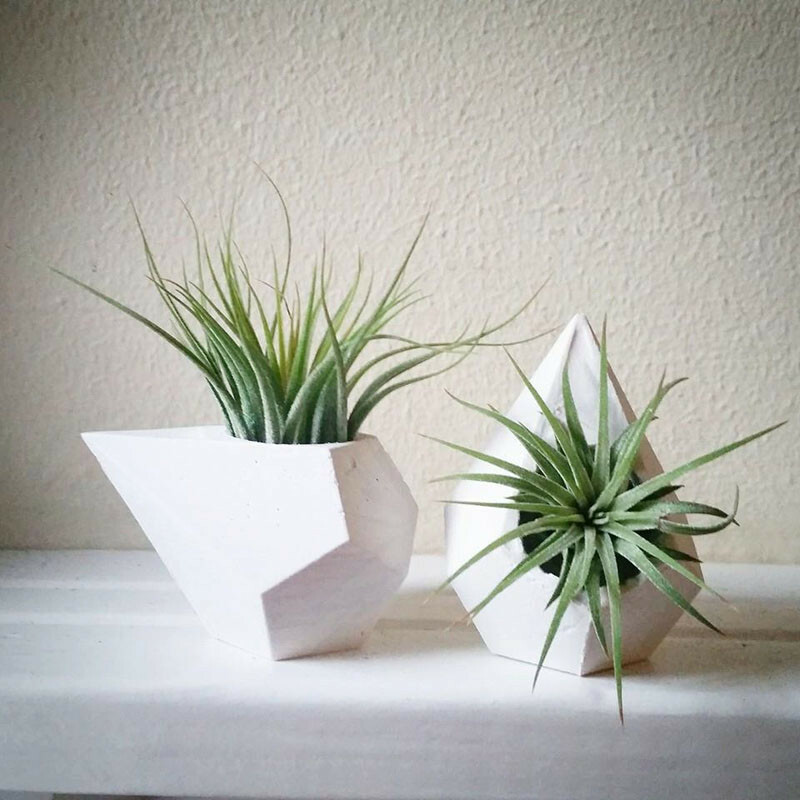 These air plant holders add a modern geometric element to any room. 9. 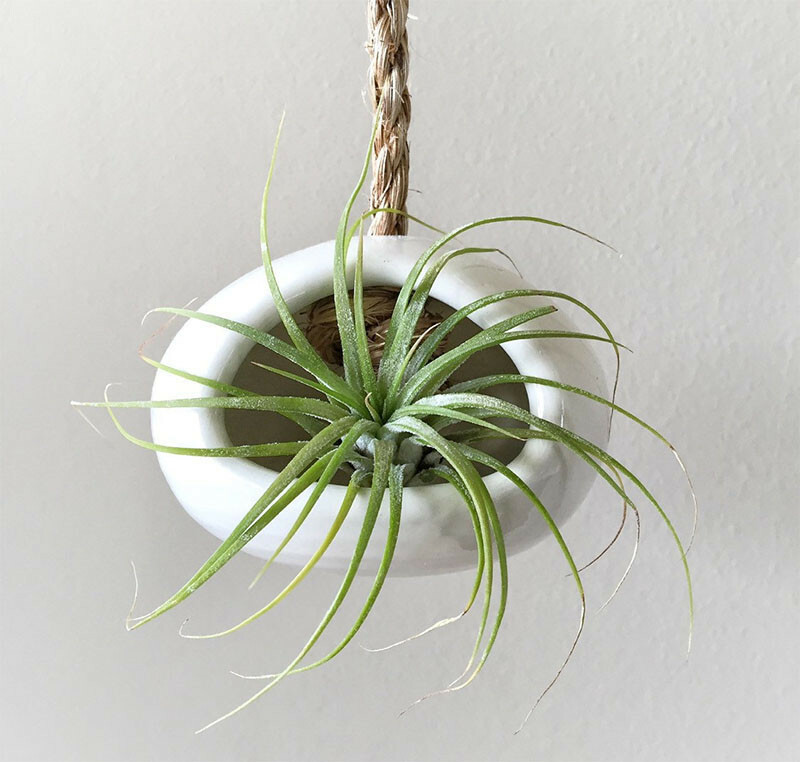 This ceramic air plant holder adds an additional element of nature with a sisal rope hanger. 10. Simple stands are another way to display air plants. 11. These teardrop designs add a touch of contemporary to your mantle. 12. 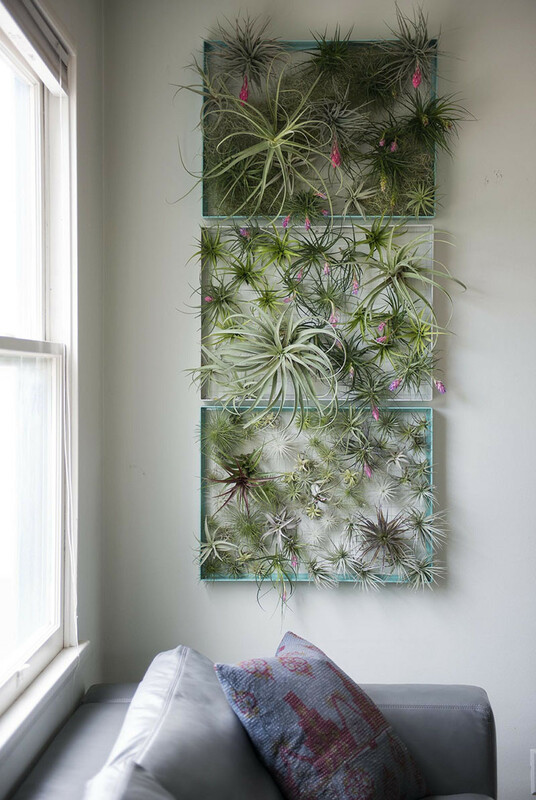 This frame is a great way to display all of your air plants and makes for a beautiful living piece of artwork.